Divine Fortune Strikes Again on Casino Heroes Sister Site! At this point, it might be safe to say that Divine Fortune is one of the hottest slots in the industry. According to one player, Mr Tureduretuki, he’d been playing on Casino Heroes Japanese sister site CasiTabi when he struck gold. In fact, he hit the local Progressive Jackpot on Divine Fortune by NetEnt for a mind-blowing £99,000. 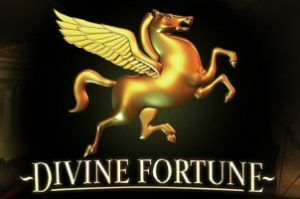 Divine Fortune has definitely made a lot of player’s wealthy this year and in many online casinos too. And this is another perfect example of this. The fantastic story started after Mr Tureduretuki place a min bet (equivalent to £0.15) and gave Divine Fortune a spin. What happened next, completely caught him off guard. To be frank, winning £99,000 is something people dream off, but rarely think it could happen to them. In his own words, the lucky winner said, “I suddenly got extremely surprised, and just stared at the screen for a while, shocked. I did not fully comprehend what had happened”. So as you can clearly see, Divine Fortune has a true reputation of changing lives. As for the lucky winner above, well, he plans on spending his fortune remodelling his home, buying a new car, and maybe taking a trip around the world. Now, that sounds like something everyone would want to do, right? Big congratulations on your big win sir, you earned it. Now it’s quite apparent that Casino Heroes is one of the best operators in Europe and Asia. They host all the hottest casino games in the industry. In fact, Casino Heroes has tons of exciting slot games to offer, and they keep on releasing new slots almost daily. Which means there no shortage of winning opportunities. Even on a min bet as the story above reveals. And once again proves that to win big, you don’t have to bet big.